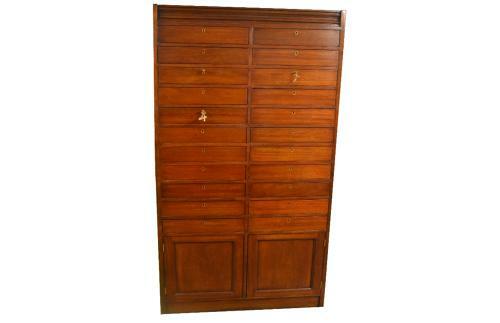 This mahogany chest of drawers is perfect for storage of paper, stationary, and many other items. It would be ideal for an office, shop or house, and can be made in any size or colour. It has two opening doors with a shelf inside.